I'm slightly late to the party when it comes to the Benefit Gimme Brow gel, but I couldn't not give it a little place on my blog! I'm a 'natural brow' kind of girl. I'm all for thicker eyebrows, but I like them to look natural. I've been pretty lucky in the eyebrow department, as they are already quite thick and don't need a lot of maintaining, just the odd tweeze of a few strays every now and again. With this, I've always opted for powder on an angled brush, just to fill in any sparse areas. But having heard so many amazing things about the Gimme Brow gel, I just had to give it a go! As always with Benefit, the packaging is gorgeous. The formula is a brush-on fiber gel which adheres to the skin & hair. On first application I found it to be a lot lighter than I thought, which meant it was buildable without the fear of going over the top! The brush is similar to that of a mascara brush, and is perfect size even for the thinnest of brows. 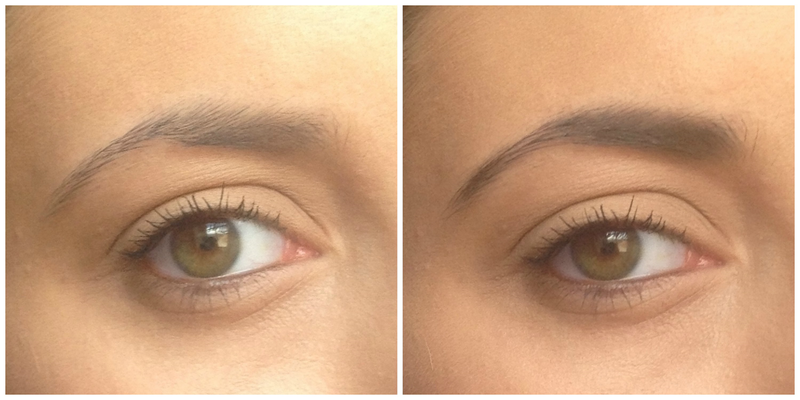 Gimme Brow comes in two different shades: light/medium and medium/dark. I chose the darker shade as my eyebrows are near black anyway, but it would also be suited for much lighter brows than mine. Overall, I can't fault this product. It's a firm favourite in my makeup bag now, and have even got my mum into it! At £17.50 it is a little pricey, but I would totally recommend to anyone!